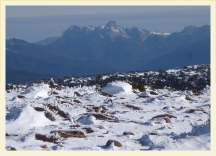 Far South Tasmania is offering a great range of walks from easy to strenuous. 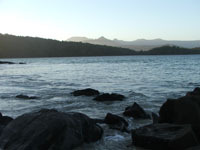 Along beautiful, sandy beaches, through temperate rainforest, on tarn-studded alpine moors and dolerite peaks. 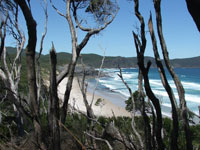 Bushwalking in the Far South can be enjoyed all year round. 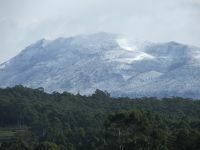 One of Tasmania's great day walks! This walk to Southcape Bay is part of the Southcoast Track and offers views to Southeast Cape, Australia's southernmost point and over the Great Southern Ocean. 4 to 5 hours return, 15,4 km mostly flat, moderate fitness level required. Walk starts at Cockle Creek. 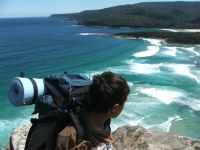 A popular, easy walk from the Whale Sculpture at Cockle Creek meandering along the foreshore with views over Sorm Bay to South Bruny Island and the Tasman Peninsula as well as inland towards the Southern Ranges. 2 hours return, easy. 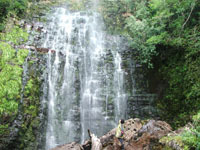 An interesting walk through wet forest with a rainforest understorey to a spectacular waterfall (after rain). Steep, slippery and muddy sections, hard 3 hours return. Steep sections, hard. 8 to 10 hours return. Experienced walkers only. Amazing views over Tasmania's Southwest. Flat, easy, one hours return. Beautiful forest walk to a sinkhole. Take the Ida Bay Railway and walk from Deephole to the Lagoon. Approx. 2 hours return. Easy, flat. Various walks from easy to medium/hard. Walks to Lake Osborne, Lake Esperance, Hartz Peak, Arve Falls and Waratah Lookout. Great views over Southwest Wilderness from Hartz Peak. 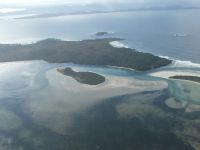 6 to 9 days walk for experienced walkers from Melaleuca to Cockle Creek or vice versa over 85 km.